Most people know that Chihuahua’s are the smallest breed of dog, and that they hail from Mexico. However, there are also plenty of other aspects of the traits and personality of the Chihuahua that could affect your choice about whether owning one is right for you or not. In this article, we look at the various similarities that all Chihuahua’s share, according to the breed standard. 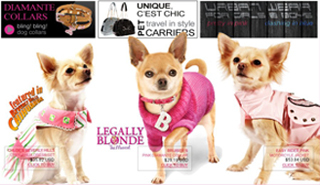 According to the AKC breed standard, when it comes to appearance, factors present in all Chihuahua’s traits and personality are that they are graceful, swift, and have a saucy expression. They also have ‘terrier like’ personalities. That means that Chihuahua’s are proof of the old saying ‘dynamite comes in small packages,’ and that they are energetic and confident little dogs. Their heads should be a rounded ‘apple dome’ and they should not have eyes that protrude, ears that are erect, and a well-defined stop. They should also have a slightly pointed muzzle, and a level bite. Coats can be either smooth, short, and close to the body, or long and silky in the long coat, and all colours, and combinations of colours, are acceptable. According to the breed standard, when it comes to size and proportion, in terms of Chihuahua traits and personality, a Chihuahua should weigh no more than 6 pounds, and have a body that is ‘off square’ – or slightly longer than it is high. The terrier like traits and personality of the Chihuahua should be evident in the dog’s gait, which is swift, firm, and sturdy. That is thanks to the muscular legs, level back and firm top line that all Chihuahuas should share. Not all Chihuahua owners choose to enter their pets into breed shows, but when it comes to Chihuahua traits and personality factors that you should look for, it helps to know what would disqualify your dog in a breed show. Those factors are any dog that weighs more than 6 pounds, docked tails or bobtails, cropped ears or thin coats in long coats. 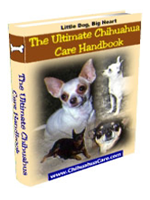 If you do love Chihuahuas, and are planning to get one as a pet, it is worth taking a copy of the breed standard along when viewing puppies. It will help you to ensure that the parents of your puppy exhibit the traits and personality of the ideal Chihuahua, and that should ensure that your puppy does too.